Lal Balti - Anand Kachori - IndoreRocks!!! 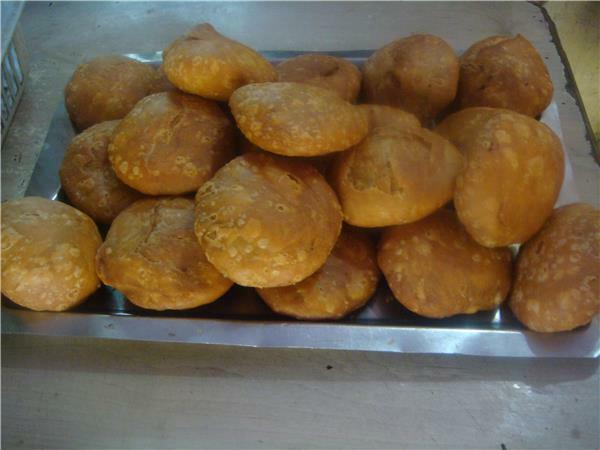 Lal Balti Kachori is immensely popular in Indore for Aloo ki Kachori served with very spicy (hot) and special Green chilli chatni (chutney) !! In fact, the Green chilli chutney is more popular than the kachori !! The prefix Lal Balti, which literally means Red Bucket, came around its name only because it got popular and known with the Red coloured bucket that was hung outside its first restaurant - this one in Rambagh area ! !